Site of the former Bon Secours mother and baby home in Tuam, Co Galway. THE MOTHER AND baby homes Commission of Investigation is to begin geophysical surveys on the site of a children’s burial ground at an abbey in Tipperary. Children’s Minister Katherine Zappone said today that she believed that a survey would begin on the grounds at the former mother and baby home at the Sean Ross Abbey in Tipperary. Speaking on RTÉ News at One, Zappone said that the commission had informed her that it had received information from a member of the public in relation to the children’s burial ground at the abbey. “What they’ve agreed to do now is that there’s going to be a geophysical survey on those grounds,” Zappone said. “My understanding is that will begin tomorrow… it will last for one or two days. On the basis of what they find they may go back to do some additional surveying but they feel they need to do that prior to their completion to their report on burials for all of the institutions that they are investigating. Zappone also confirmed today that the Commission of Investigation will not be issuing its final report this year, and had had been given an extension until February 2020. Instead, it today published its fourth interim report. Another “very significant report” in relation to the burials at former mother and baby homes is also due in March of this year. 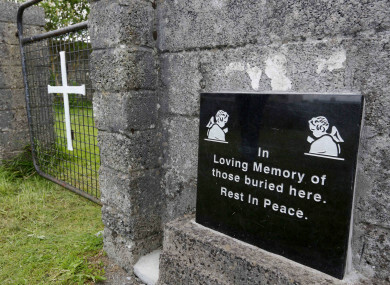 The commission into mother and baby homes was set up after research by Catherine Corless – a local historian in Tuam, Co Galway – showed that that 796 children who died at the former mother and baby home in Tuam were not given an official burial. In March 2017 it confirmed that a “significant” number of human remains were discovered at the site of the former church-run home for unwed mothers. Scientific analysis put the age of death between 35 foetal weeks and two to three years. The commission was originally due to issue its final report last year, but that was delayed. Email “Surveys to be carried out on burial grounds at Sean Ross Abbey in Tipperary”. Feedback on “Surveys to be carried out on burial grounds at Sean Ross Abbey in Tipperary”.